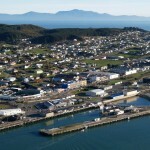 Bluff is a port-town located on a peninsula at the southern end of the South Island of New Zealand. 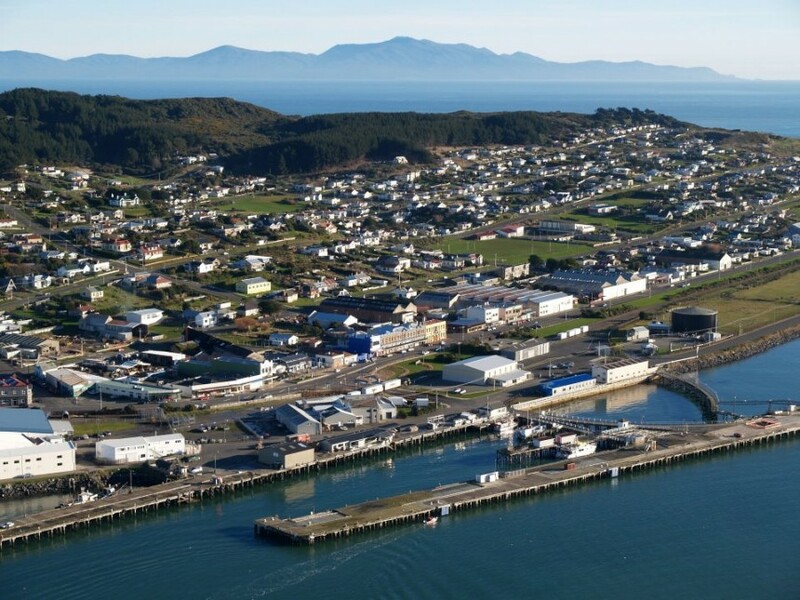 Nestled below a prominent 265m conical hill from which the town takes its name, the area has been permanently occupied since the establishment of a shore-whaling station in 1836. 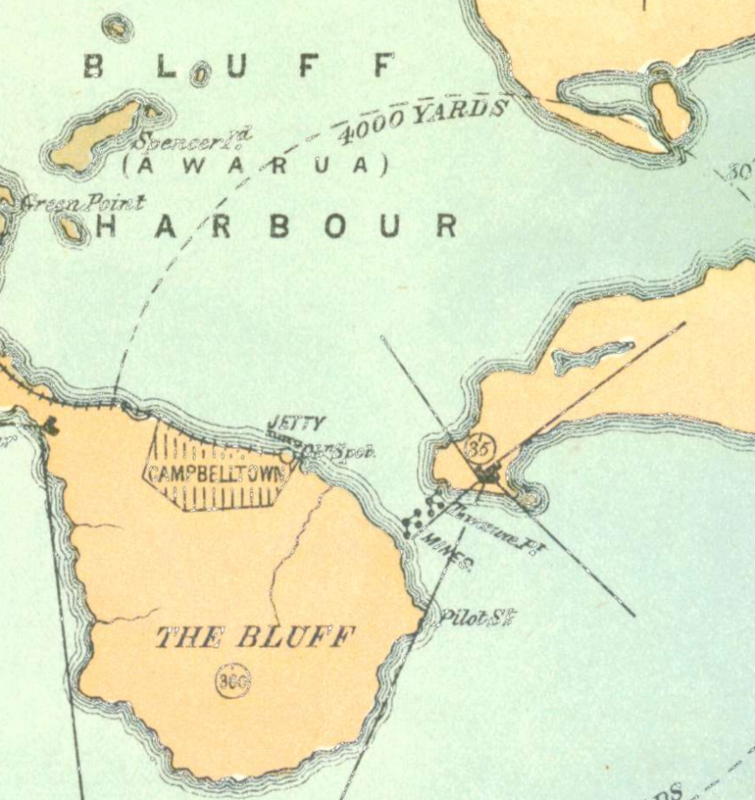 In 1856, the port’s settlement was officially named Campbelltown but it continued to be called The Bluff—or simply Bluff—which became its official name in 1917. 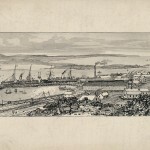 In 1867, Bluff was connected by railway to the burgeoning settlement of Invercargill, Southland’s commercial centre, thereby securing its status as the southern region’s main port. 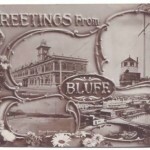 Bluff enabled and grew off the back of the agricultural development of the Southland plains, especially from the 1880s when frozen meat began to be exported to Britain. 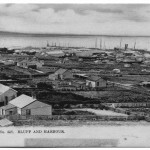 A key architect of Bluff’s colonial development was one of its own best sons: the prominent businessman and politician, Sir Joseph Ward (1856-1930), who is New Zealand’s longest serving Cabinet minister. 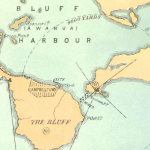 Bluff was also—and remains—home to one of New Zealand’s most important inshore fishing fleets and is where Foveaux Strait’s world-famous oysters are landed. Diane Ackerman, Rarest of the Rare: Vanishing Animals, Timeless Worlds, (Random House, New York: 1995), 69. 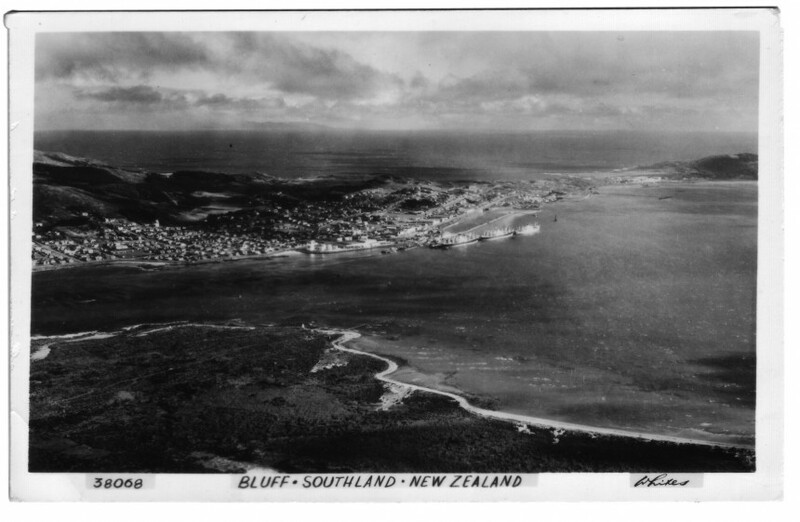 The inaugural Royal Tour of New Zealand by Queen Elizabeth II and Prince Philip, the Duke of Edinburgh, concluded at Bluff in January 1954. 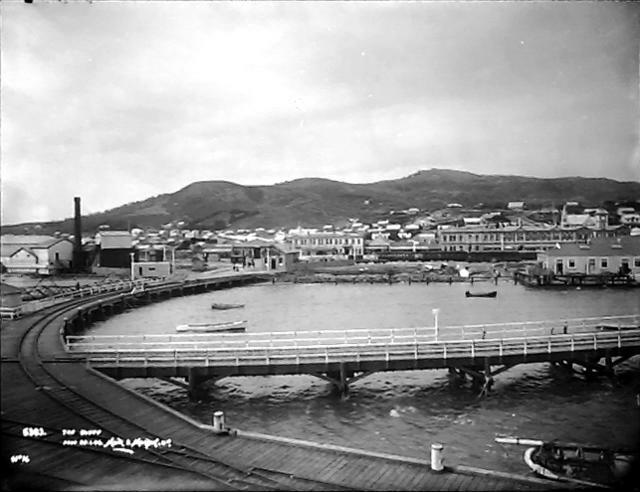 By this time preparations had began for the construction of a large island harbour on top of a sandbank from which the area’s main Māori name is derived: Awarua. 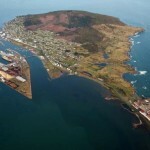 Buoyed by post-war prosperity, Bluff’s Island Harbour was opened in 1960. Along with the development of all weather meat loaders, the port’s long-term value and viability was thought to be secure. However, this was not to be. 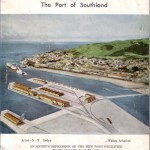 The containerization of cargo from the mid-to-late 1970s and a drastic reduction in the export of primary products to Britain following its orientation towards Europe reduced Bluff’s importance. 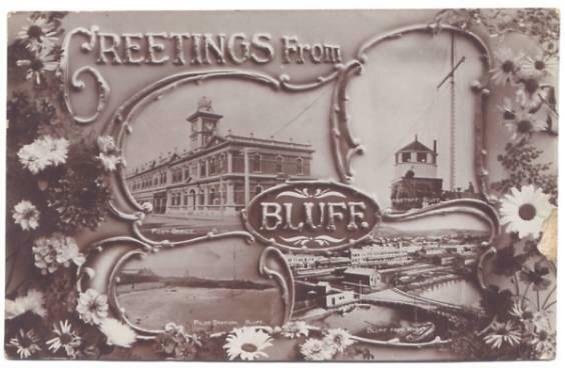 Accordingly, from a peak of 3,300 in 1970, the town’s population declined slowly through the 1980s and then markedly following the closure of Bluff’s major employer, the Ocean Beach Freezing Works, in 1991. 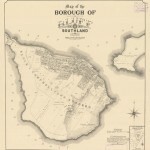 The population now stands at roughly 1,800, which is about what it was 100 years ago. A. E. Kinsella (Minister of Education), Foreword, Bluff Public School Centenary Souvenir, (Times Printing Service, Invercargill, N.Z. 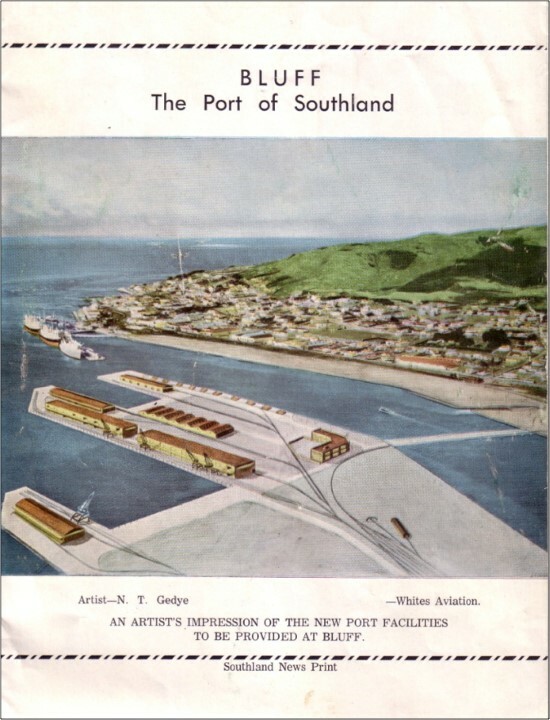 : 1967), 1. 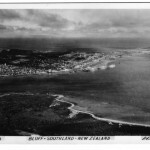 Bluff bears hallmarks of trends and events that have shaped much of New Zealand generally. These include a dependence on distant markets and foreign capital. 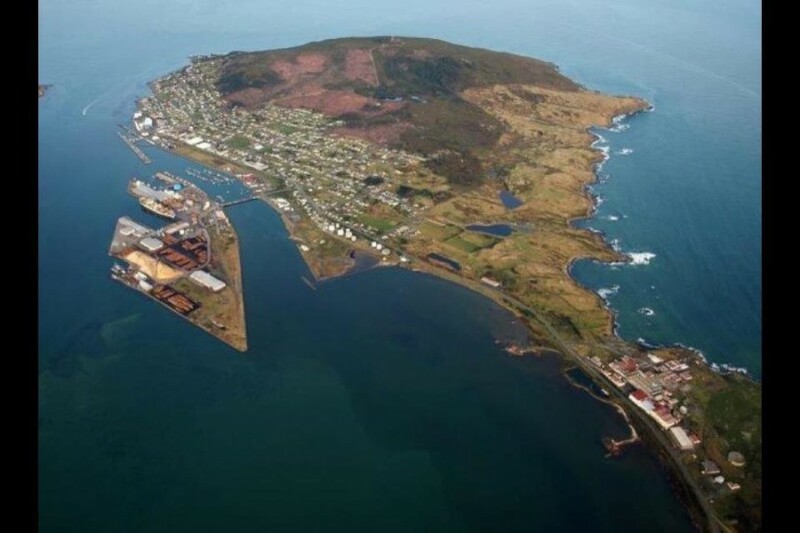 At the same time, the port has some distinctive features as a result of its early maritime connections with New South Wales and its relatively large Māori population. 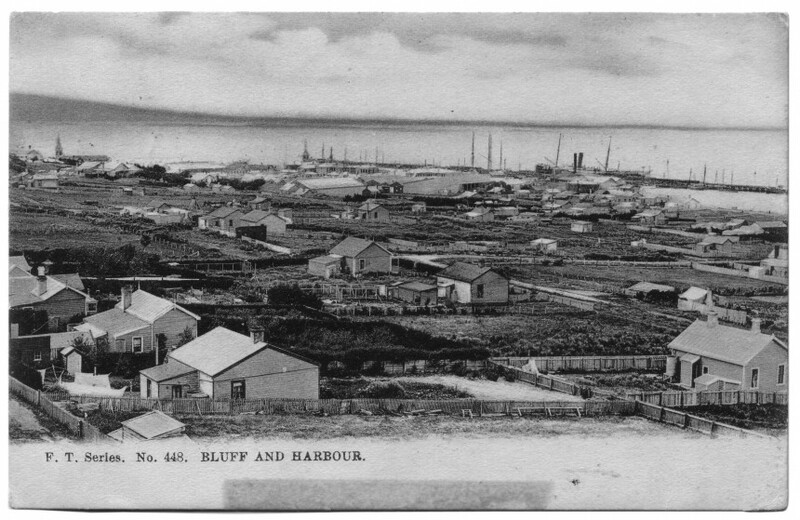 In short, Bluff exposes patterns of connection between land and sea, and Māori and non-Māori, and is therefore an ideal analytical site for historical investigation. 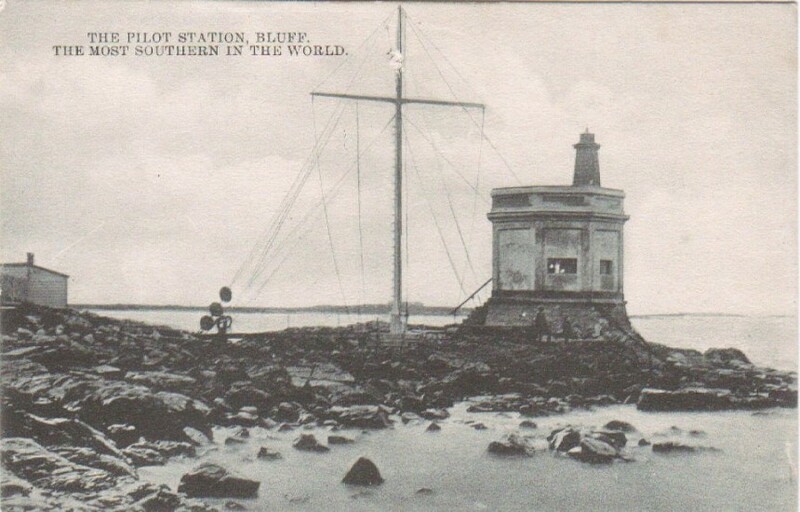 Charles Nathaniel Worsley, The Bluff 1902. 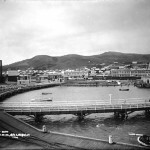 Alexander Turnbull Library, Wellington, New Zealand. 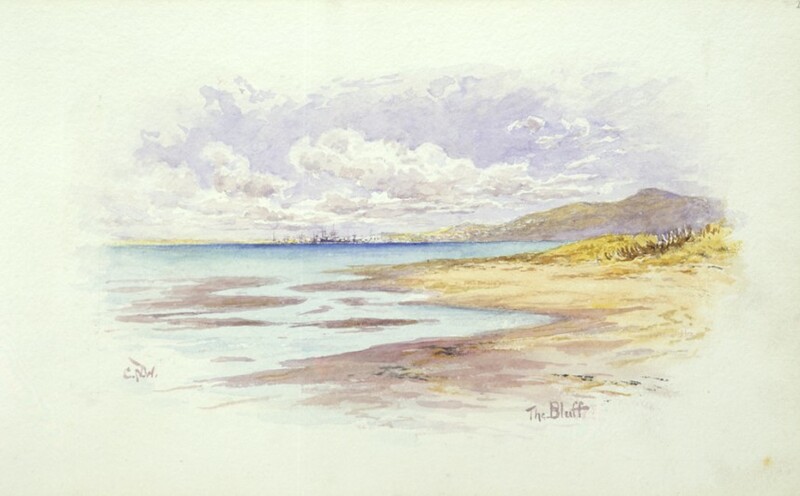 Walter Deverell, The Bluff. 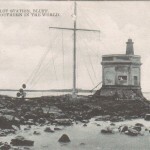 ca 1900. Pen, ink and wash sketch. View from the hills behind Bluff looking north east down towards the factories and wharf area, with houses and a church to the right and Tiwai Point in the background. 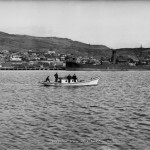 R P Moore, Panoramic view of Bluff, ca 1925-1928. 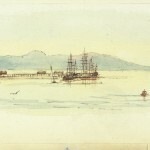 R P Moore Collection, Alexander Turnbull Library. 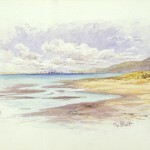 Photograph of Bluff by Muir and Moodie, Dunedin. 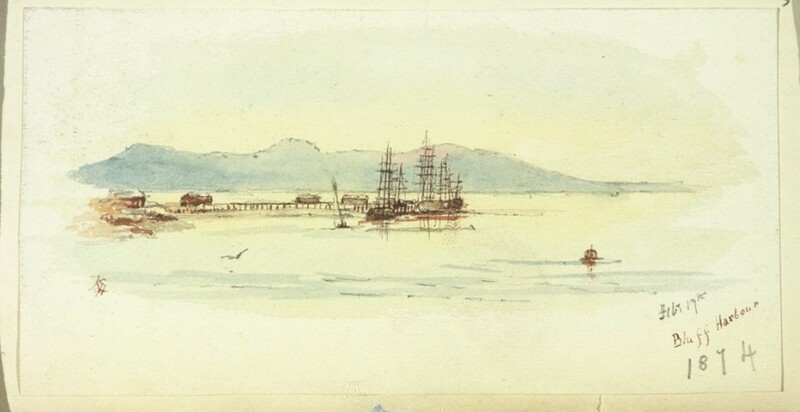 Katherine McLean Holmes, Bluff Harbour, watercolour 1874. 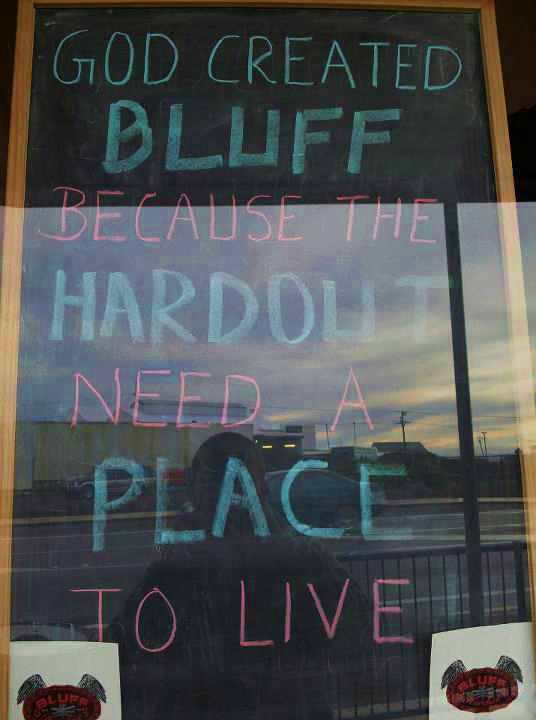 God created Bluff because the hardout need a place to live. 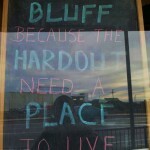 Chalkboard message in shop window. 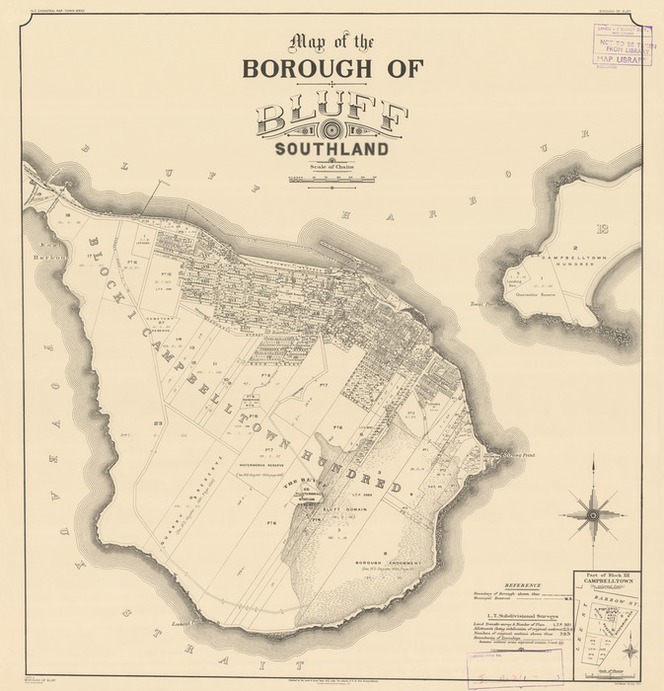 Map of the Borough of Bluff, Southland, 1951. Sourced from LINZ. Crown Copyright reserved. 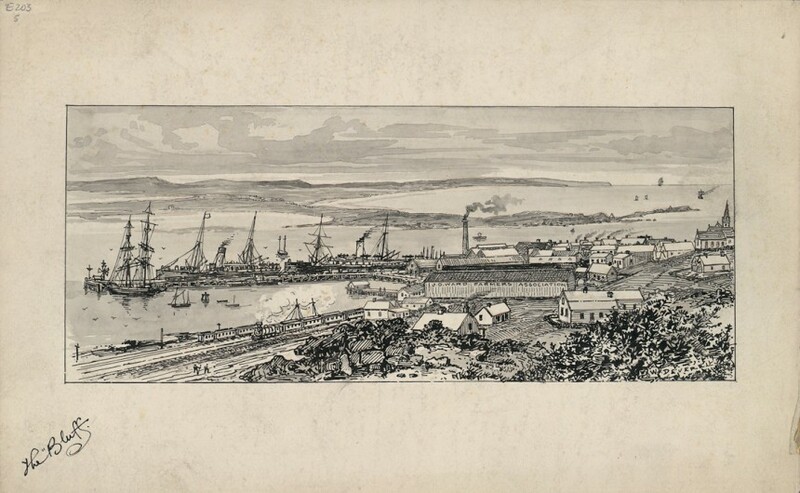 Artist’s impression of Bluff Port, from Whites Aviation. Artist: N.T. Gedye.